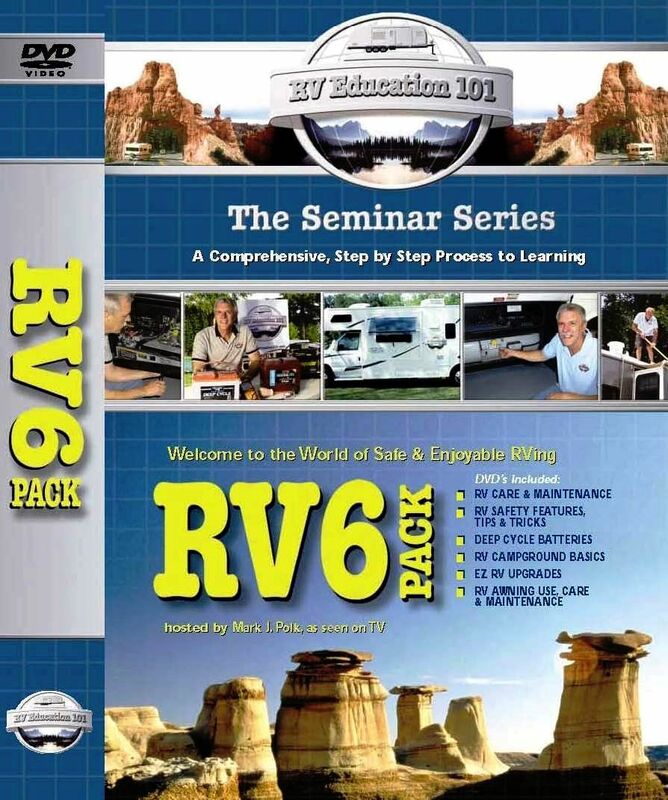 RV Education 101 just made it easier for you to learn about YOUR RV! We took 5 of our individual DVD titles and put them together into a full set for you which is equal to over 4 hours of one on one instruction. You SAVE a significant amount of money with the set discount. Mark said "After collecting a great deal of feedback from RVers who attend seminars all over the country I determined that live seminar presentations can not always offer numerous and sometimes cumbersome visual aids to effectively get the point across. That was the thought behind our new RV video seminar series. Seminars in video format allow me to present valuable information, using detailed graphics. It is the perfect solution to help educate the RV consumer." After watching this complete Seminar Series set of 5 DVD's; by RV expert Mark Polk, you will master your own RV experiences. These titles are still available for purchase as single DVD's also. Dawn, I have been using the videos and getting your newletters and they have been godsends to a newbie like me. Please keep up the great work! I recommend your site to every RV'er I meet. Good news for your company is that whenever I mention your site, many already know about it. Looks like you're meeting the needs of a lot of people.